In the spring of 2018, for May’s Military Appreciation Month, Archadeck teamed up with B93.9 for the Salute with Service project. 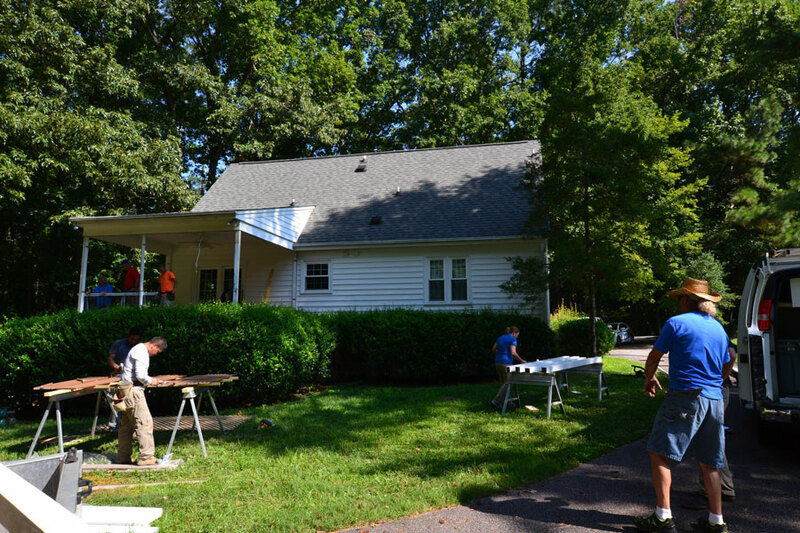 Aimed at completing a needed outdoor living project for a local veteran, B93.9 collected nominees from across the Greater Triangle to receive special services from Archadeck. The winning local veteran was Jack Austin, a Vietnam Veteran and devoted fan of the N.C. State Wolfpack. Jack’s declining health required him to use a wheelchair for mobility. 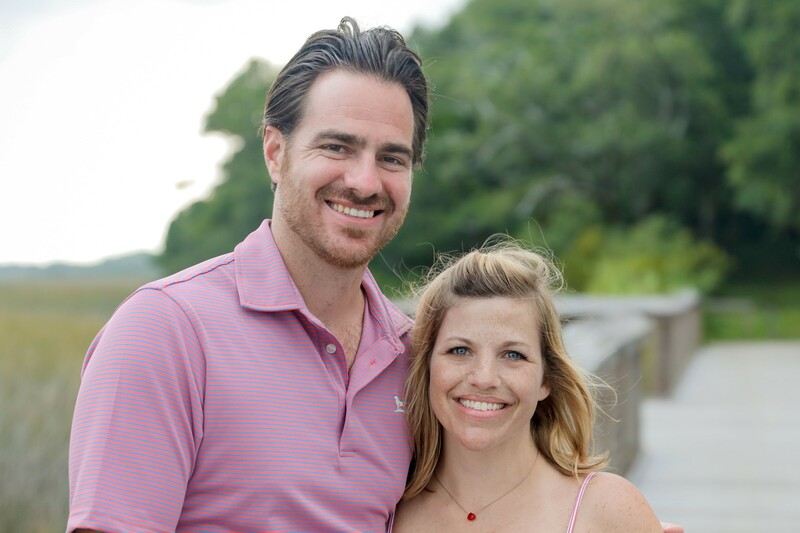 A recent brain tumor diagnosis created further challenges for him as well. 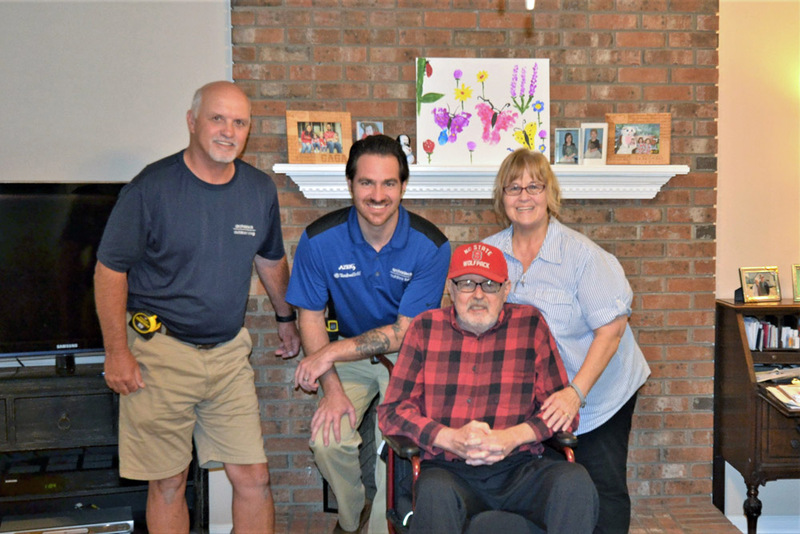 Jack was nominated by his wife, Alice, who wanted Jack to be able to enjoy time outdoors on their screened porch, which was no longer accessible to him. The Archadeck team began by meeting with Jack and Alice and creating a plan to transform their outdoor living space to meet Jack’s needs. Once they had a plan, many hands helped bring the project to fruition over a two-day period. Archadeck’s construction crews contributed their time and talents and American Cedar and Millwork contributed many of the materials needed to complete the project. It was a terrific way to honor Jack and Alice. Transformation of the Austin’s porch was multi-faceted. 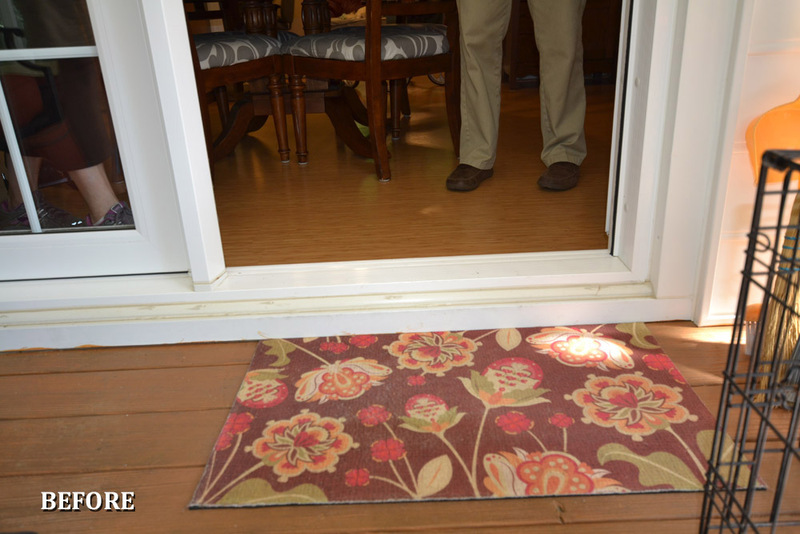 Our primary goal was to make the porch more accessible, which had an unusually high door threshold. To solve this, we created two ramps for either side of the threshold that could be used to move a wheelchair across more easily. The interior ramp was removable, so it could be used when needed and stored easily otherwise. 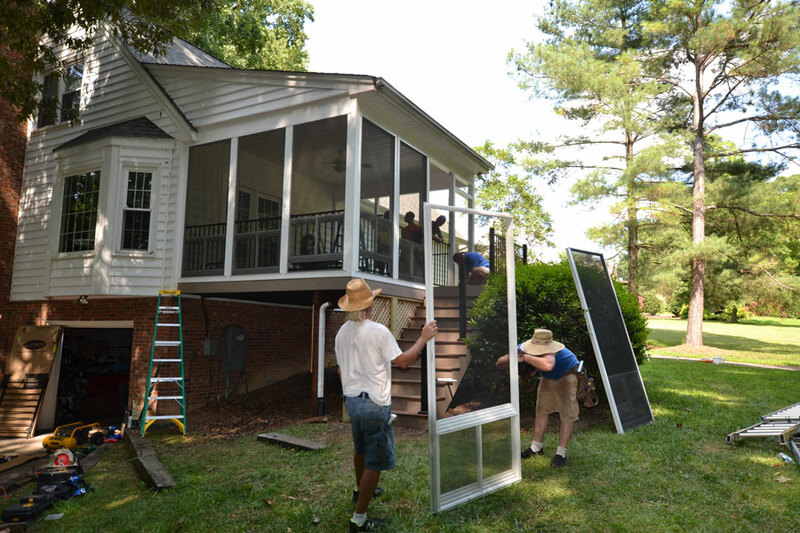 We also increased the functionality of the screened porch by converting it to a three-season room with the addition of Eze-Breeze® windows. The use of Eze-Breeze® windows minimizes pollen in the spring and allows the space to be enjoyed for longer, in cooler weather. We also installed a wall-mounted television and a new ceiling fan to add to the usability and enjoyment of the porch – almost like adding a new room to the house. As part of increasing the beauty and longevity of the space, we upgraded both the interior and exterior of the porch. On the inside, we added low-maintenance Fortress rails in timeless black. To upgrade the exterior, we wrapped the three-season room in Azek PVC in a classic white finish that will hold up to the weather with no staining or painting required. Similarly, we replaced the stairs and landing with TimberTech composite decking and matching Fortress rails, giving the porch a fresh new look that requires little maintenance. We are honored to have been a part of B93.9’s efforts to support local military members and veterans. It truly was our pleasure to provide a more comfortable outdoor living space for such a deserving couple as Jack and Alice. We are proud to work with such generous carpenters and companies on a common goal of giving back to others. We thank everyone involved in this special project and hope the new three-season room brings great joy and relaxation to the Austin family for many years to come. Sadly, Jack Austin lost his fight to cancer in late August 2018. We are grateful to have had the opportunity to meet Jack, and to bring him a bit of joy in his final days. Our warmest thoughts remain with Alice and their family and friends.